Now a days, there is no need to tell to the user of personal computer about the problems caused by viruses. Viruses enter the computer along with the downloaded files from internet. They get attached to the pictures, songs, wallpapers and movies downloaded from the net. Various problems due to viruses are the hanging of the system suddenly, restarting during the running of programs, opening of disk drive suddenly etc. There is a big story about viruses. Computer virus is also a software. This software will be such that it is capable of spoiling the already installed softwares and operating system of computer. Once the virus attacks the computer then it infects all the other files and corrupts the entire data. Through net, virus transfers to another computer also. There is more chance of getting viruses through audio, video and wall paper files downloaded from net. There are various types of viruses. Some viruses just intend to give warning whereas some viruses spoil the entire hardware and software. Every virus is special of its kind and referred as backdoors, Trojans and worms. 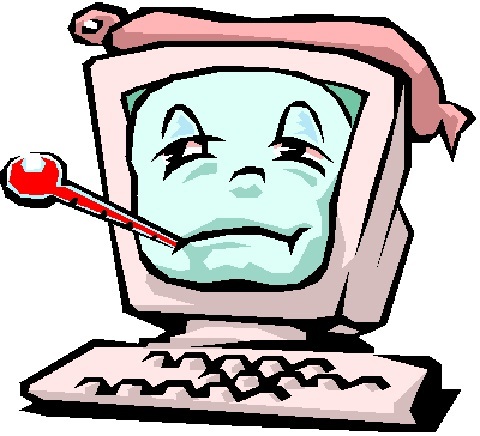 It is Asia in which more computers are infected by viruses. Especially in China, India and Japan, almost one computer gets infected by virus per minute. Personal computers can get rid of viruses with less cost only. But if the servers of the large companies and financial organizations are infected by viruses, then it would result in loss of some crores of rupees definitely. Many companies would employ hackers to protect their servers from viruses. Hackers are the people who design and code the virus. Companies pay huge salaries to them to get protection from viruses. Through hackers, the extent of virus threat can be understood. Computers with windows operating system get infected with viruses easily. Experts are saying that 90% of the viruses discovered till now are for the windows operating systems only. Computers with LINUX and UNIX operating systems get infected with viruses rarely. But the computers using these operating systems are very less. Hence the hackers do not concentrate on them. After the installation of operating system in the computer, a good and reliable anti virus has to be installed immediately. Now, anti virus packages for personal computers are available at reasonable prices only. Anti viruses start from Rs.500 in the market. Trail version of antivirus can be downloaded from internet. Once the antivirus is installed, it has to be updated regularly from time to time through internet. Antivirus making software companies would update software from time to time so that they become enable of stopping the new viruses. According to a survey conducted, a new virus is becoming ready in the internet to attack personal computer for every 2-3 hours. Required main important data should be maintained in the backup so that even though if the virus attacks, there would not be any loss of data. It is better to scan pendrives, datacards, CD’s and DVD’s with antivirus before running them in the computer. Don’t neglect the computer after installing antivirus software. Antivirus software cannot stop all the viruses. So always be cautious. If the files with extensions of .exe, .vbs, .scr, .vbe, .com, .bat, .shs, .cpl, .dll, .ocx, .pif, .drv, .ink, .bin, .sys, .eml, .nww look in red colored icons, then do not open those files. Be cautious about such files where ever there are in the internet or in the data bank. It is better to scan the files sent through mails even by well known contacts. Although some mails had autoscan, it is better to be cautious in this aspect. If the computer is infected by virus then computer should be formatted immediately to delete the virus. Otherwise virus sends the messages of its links from your email to all of your contacts without your knowledge. First virus was invented in 1970. Microsoft Company has announced that almost 10,000 types of viruses are attacking the computers. The virus designed with the wall paper called Anna Cornikova has troubled the entire net users all over the world. Viruses and Trojans are ready to attack Indian software servers. Kido Net-Worm has infected more computers in the year 2009.